Is it time to make the "action clock" the norm and not the exception in poker tournaments? 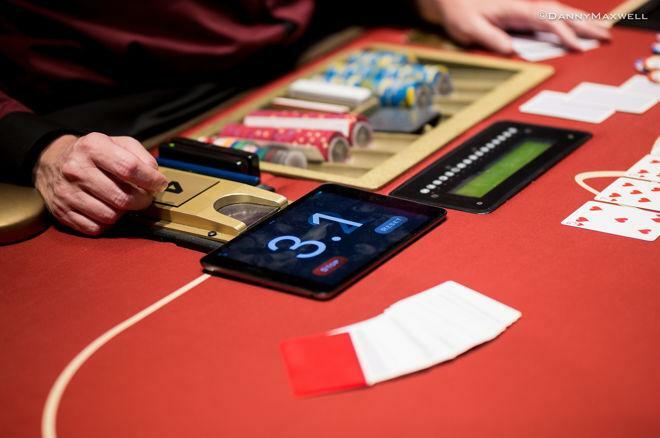 Poker players weigh in on the increasingly prevalent tournament "action clock." Among the many changes and innovations brought to tournament poker over recent years has been the introduction of a “shot clock” or (more appropriately) an “action clock” that sets a limit on the amount of time players have to make decisions. After years of experimentation with action clocks, it has now become a common feature on several tours, especially in high rollers but also in main events (such as on the World Poker Tour). Recently an action clock was employed in the 888Live Poker Festival London Main Event. From that tournament Parker “Tonkaaaa” Talbot discussed with us a tricky hand involving Niall Farrell in which the action clock appeared to play a meaningful role. In the hand — discussed here — Farrell faced an all-in shove on the river by his opponent and had to decide relatively quickly whether or not to call and risk his tournament life. He’d flopped two pair but a backdoor straight was possible, and Farrell would spend his last two time bank chips before having to make a decision he might well have liked to have had more time to consider. Of course, not all players prefer introducing the action clock into tournament poker. Just as many prefer no limits on the betting, there are those who would rather not introduce time limits into poker either. Where do you stand? Do you think the action clock should become the “norm” in tournaments? Make a choice and share the reasons for your position in a comment below.